Enjoy the feeling of being behind the wheel of your favorite NASCAR stock car with our Micro Reality Race Track. Control the speed and steering of your car as it zooms around the track with a real steering wheel and pedal controls for speed. 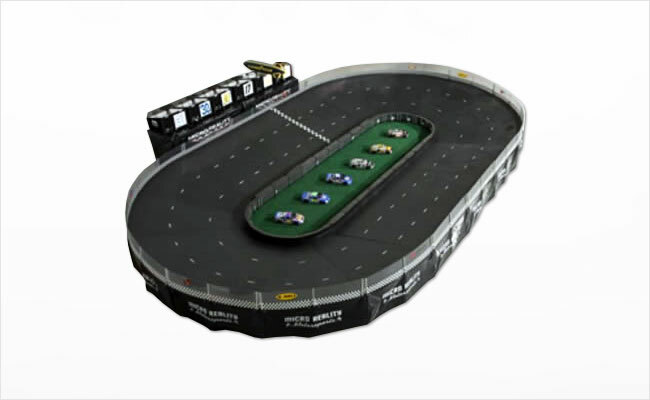 Our Micro Reality Race Track is the very best remote controlled racing system of its kind. Call or email us today for a free quote!